A decade ago you would have purchased a camera to take decent quality pictures with, nothing else. Even though they existed, most cameras’ video modes at the time were at worst an afterthought and at best mediocre offering that couldn’t keep up with camcorders of the time. Nowadays there are a plethora of cameras whose video capabilities are definitely not to be scoffed at. Even models costing three digits can leave one in awe with their 4K UHD footage, while high-end cameras go toe to toe with professional video equipment. Picking up a new DSLR or mirrorless camera with the intent of mostly using it for video makes sense now more than ever before, but which one to get? 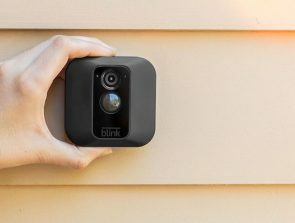 In this guide, we show you the best video cameras of 2019. Low noise in all but the highest ISO setting. Excellent autofocus. Quick and responsive autofocus. Good image stabilization. Lightning-fast focus acquisition. Cinematic 4K video. We’ve included some of the world’s finest camera manufacturers and their best models in different price brackets to give you a lot of diverse options to consider. Before sealing the deal on your newest camera, check out why we were so impressed with these particular models, and be sure to glance at the info section as well to get a few pointers on fine-tuning your choice. 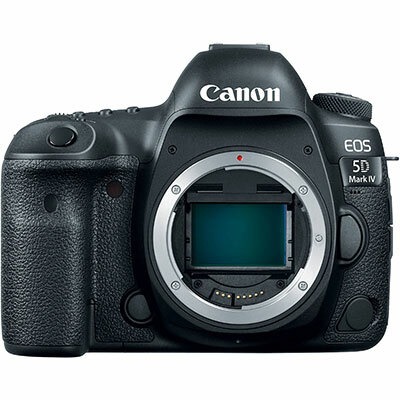 5D has become Canon’s flagship series when it comes to satisfying both picky photographers and demanding video enthusiasts. It took them four years to finalize the Mark IV, but the wait was well worth it! You now get to enjoy all the benefits of a full-frame sensor, a robust yet lighter body, cinema 4k, and much more. Although the Mark IV costs a pretty penny, what you get in return justifies the price. The Mark IV’s expanded 30 megapixel resolution meshes well with its full-frame sensor, generating detailed prints, and opening up exciting options like panoramic photos shot with a single wide-angle lens or multiple landscape details one can extract from the same scenic shot. With two processors controlling the metering and the Mark IV’s dual autofocus points respectively, honing in on moving or far-away subjects happens in a flash. 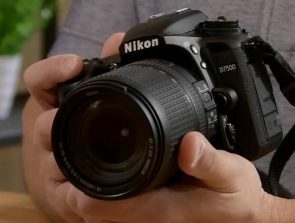 The Mark II did a lot to bring DSLR video to the mainstream, so it’s only fitting that its successor steps its game up. With the Mark IV, you can shoot Cinema 4k video at up to 30 fps. Full HD and 720p are supported too with maximums of 60 and 120 fps each. Canon’s 4K codec of choice is Motion JPEG at a bitrate of 500Mbps. Your files’ sizes will be beefy because of this, but their quality is top notch. Expect to see the smallest details in rich color that’s true to life and noise-free even at 4-digit ISO values. Although detailed, 4K footage is a little cropped, so plan your scenes with that in mind. Recording time is also limited to 30 minutes. Since the LCD screen can’t be moved, the camera loses a bit of its functionality when taking photos. Dimensions: 5.9 x 4.6 x 3.0 in. Owners of the Lumix GH4 could already enjoy Panasonic’s successful blend of above average still quality and stellar video. With its successor, the focus shifts even more towards video while image quality and response times have received significant updates as well. A rugged, fast and versatile camera, the GH5 brings amazing value for the experienced videographer who’s also got a good eye for photography. The GH5 has been designed to endure practically any kind of weather you wish to shoot in. Freeze proofing has been added to existing protection from moisture and dust, performing flawlessly at 20 degrees Fahrenheit and lower. To help you get those below freezing shots more easily, a more streamlined user interface displayed on a larger screen makes sure that the right settings are never far from reach. Panasonic has stated that this camera boasts the best image quality for a Lumix model yet, and we agree. 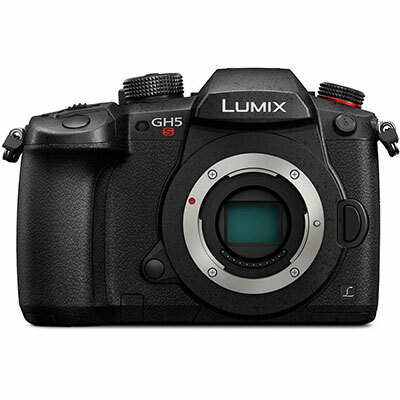 The sensor and image processor have received upgrades which resulted in an increased number of megapixels, while the removal of its built-In low pass filter gives the GH5’s images extra quality. The most noticeable improvement is in the camera’s autofocus. Not only does it have 225 points to make use of, but its speed has been reduced by 0.02 seconds as well, making split-second shots clearer than ever. The GH series’ strong suit, video, has been improved yet again. The GH5 can shoot 4:2:2 DCI as well as consumer-grade 4K video at speeds up to 30p, while shooting in 8-bit 4:2:0pushes the limit to a smooth 60. Full HD supports up to 240p, allowing for some nice slow-motion videos at decent quality. Best of all, the capacity of your SD card is the only limit to the length of the crisp, uncropped, and well-stabilized videos you create. Most of the GH5’s weaknesses are actually deliberate design decisions. For example, it doesn’t have its own flash. Panasonic has opted to exclude it since at this price point, you’ll want to accompany your camera with something more versatile anyway. Removal of the low pass filter has given the GH5 a boost in image quality but has also made it more prone to moiré patterns which experienced users will probably know how to avoid. Dimensions: 5.5 x 3.9 x 3.4 in. 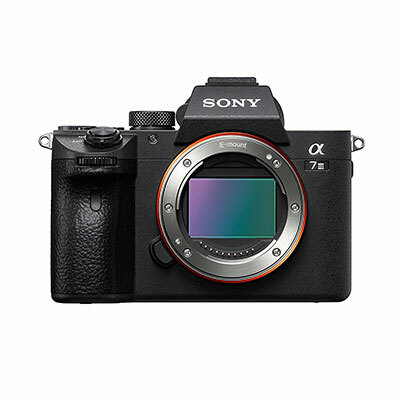 With an identical price point and similar specs across the board, Sony’s a7 III is a direct competitor to the GH5. It impresses with its low-light performance, autofocus, and extraordinary battery life. Its 4k video, although capped at 30p, is beautiful and vibrant. The breadth of options trumped image quality when it came to picking the best value camera, but the a7 III stands as a worthy alternative never the less. The a7 III really is a workhorse. Thanks to the longest-lasting battery that’s ever been featured in a mirrorless of its caliber, you can take up to 700 shots or record close to two hours before needing a recharge. As the camera comes with two SD card slots with one of them supporting UHS-II, you can put in an honest day’s work and still not run out of juice. 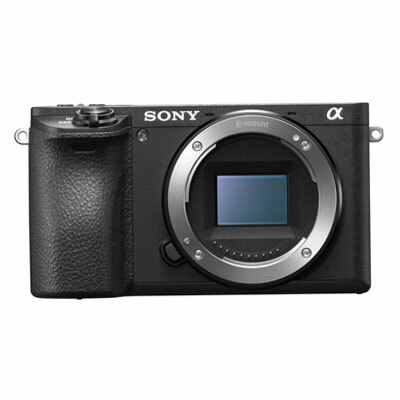 Image quality is outstanding as the a7 III’s combination of front-end LSI and improved 24 MP full-frame sensor ensures more detail gathered and processed at higher speeds than before. The autofocus covers more than 90 percent of its screen and is further enhanced by the ability to track a subject’s eye even while moving. The camera excels at capturing low light footage with ISO settings soaring up into triple digits for stills. Noise is more than tolerable, so expect dim scenes to look their best. The video is limited to a standard 4K at up to 30p with support for the NTSC and PAL formats too. Since the camera has a full-frame sensor and also oversamples while shooting, pixel binning is non-existent. Scenes sport a somewhat shallow depth of field that’s perfect for emulating a movie-like appearance. The a7 III also deals better with rolling shutter problems than its predecessors and the jello effect people complained about is almost not visible. The autofocus is responsive in video mode, offering you specific subject tracking, wide tracking for less predictable scenes, and spot focus when you want to draw attention to a specific part of the screen. Unintuitive menu design has become somewhat of a staple for Sony. Granted, the a7 III has many customizable keys and the My Menu option which makes select menu items more accessible, but finding certain features due to the overall menu logic is still frustrating. Looking for a camera with world-class photography capabilities that just happens to be good at shooting 4K and HD videos too? The Nikon D850’s broad dynamic range, pinpoint focusing accuracy, and full-frame sensor all work together no matter the shooting challenge. When adaptability is concerned, there’s simply no better camera currently on the market. The full-frame sensor this camera sports is a beast! On one hand, you get crystal-clear images and sharp videos without peripheral quality loss. On the other, the D850 has A LOT of raw data to work with. 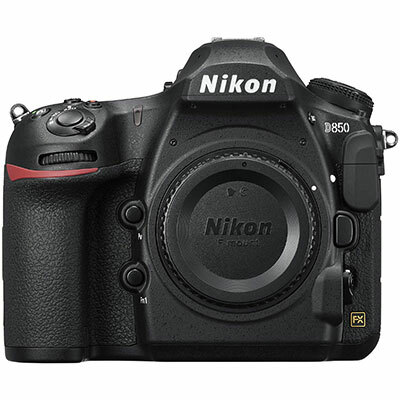 Images of up to a staggering 45.7 megapixels can be produced, and are taken at impressive speeds since the autofocusing system for the D850 has been taken straight from Nikon’s more action-oriented models. The result? Equally good performance when doing portraits, racing scenes or nature photography under tricky lighting conditions. Performance while recording videos doesn’t fall far behind – 4K at 30 FPS is excited smoothly and puts the whole breadth of the camera’s sensor to good use. Its smallest ISO setting makes the D850 great for shooting scenes with a lot of bright ambient light. Slow motion and image-capturing options add to the video modes’ usefulness. You can also hook up an external mic and headphones to drastically improve the audio quality. Clips taken with the D850 are limited to a run time of 30 minutes, which may be a problem for long interviews or timelapse efforts. While stills benefit from fast and responsive autofocus, the same can’t be said for video since it is based on finicky contrast tracking. Lastly, it is in the same price bracket as the 5D Mark IV which performs better in the video department. 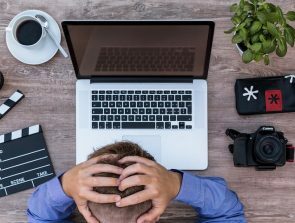 If video is more important than photography for you, the price can’t really be justified. Dimensions: 5.7 x 4.9 x 3.1 in. The a6300 was an almost flawless camera for its price bracket, yet Sony knew they could do better. Not even a year after its release they brought out the a6500, a camera with the same excellent sensor and image tracking technology whose stabilization, ruggedness, and video fine-tuning capabilities have all been significantly upgraded. Whether taking more than 300 stills in quick succession or shooting 4K videos, the a6500 was made to record every detail of a riveting sports game or wildlife scene. In spite of having a somewhat small APS-C sensor to work with, Sony has equipped theirs with a light-gathering technology that helps the camera produce vibrant images at various ISO settings at peak detail. 5-axis image stabilization was added to compensate for all manner of blur resulting from camera shakes, and the a6500 is more resilient thanks to dust and moisture proofing. Impressive 4K videos are recorded in the Super 35mm format so the full width of the a6500’s lens is being utilized. Other than being stable and balanced in color thanks to S-log3, the video can also be sped up or slowed down, creating fast or slow-motion sequences. You can also pull stills from the shot footage and get perfectly-timed action photos at a decent 8 MP. You’ll likely be taking quality action footage, but don’t expect to record much of it at one time since the a6500’s battery isn’t the longest-lasting out there. Unlike the a7 III, this model has some trouble with its rolling shutter in 4K, so if you want to avoid the jello effect refrain from panning too quickly. Dimensions: 4.7 x 2.6 x 2.1 in. Canon has been putting out DSLRs with a great mix of performance and price for years now, and we wanted to feature one as a worthwhile option for someone who’s getting into videography at a budget. If forgoing 4K doesn’t bother you, the 8D is a quality choice for both beautiful Full HD video and superb stills. 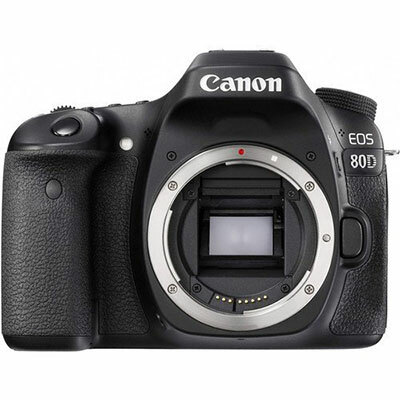 The 80D can capture a lot of detail in both its image and video modes as it takes advantage of a 45-point autofocus system and a DIGIC 6 processor. ISO sensitivity climbs up to 16,000 so you can expect to shoot some impressive footage in dynamic lighting conditions with minimal noise to boot. Autofocus is quick to pick out and sharpen subjects both in reflex and video mode. Speaking of which, the 80D shoots solid videos in Full HD at 60 FPS. The colors tend to lean towards a washed-out look that fits well with gritty and realistic themes. Lowlight performance is again excellent. The Dual Pixel CMOS AF Canon is well-known for Dual Pixel CMOS AF which makes switching focus points during filming as easy as pinching the camera’s touchscreen LCD. More importantly, it looks seamless and so natural that you’ll want to use it even if you’ve shied away from focus changes mid-scene in the past. The most obvious one is a lack of 4K capture. It’s evident that 4K is becoming the norm, and you might find yourself searching for a new camera soon because of it. There’s no image stabilization either, forcing you to bring a tripod along for steady shots. Dimensions: 5.5 x 4.1 x 3.1 in. What to look for in a Camera for Video-making? Your camera’s sensor size will have a much greater impact on the end video than the resolution it was shot in. The biggest, full-frame sensors have the same dimensions as a standard 35mm film, while micro 4/3rds and APS-C are progressively smaller. The benefit of having a larger sensor is a finer degree of depth of field control. While smaller sensors pull off the cinematic look well since it relies on a shallow DOF, bigger ones give you more room to experiment with unconventional and artistic scenes. Larger sensors also capture more light, letting you shoot videos in dimly-lit locations without losing on contrast or visibility. Long neglected in video mode, autofocus has, for the most part, relied on contrast detection. The camera would pick up differences between the colors of adjacent pixels and zoom in accordingly. Nowadays many autofocus modes like spot tracking or continuous tracking are available for videos too, so make use of them. Short-lived batteries are a bigger problem for mirrorless cameras than DSLRs as the LCD screen and viewfinder are often powered at the same time. Whichever camera type you choose, a fully charged battery should enable you to shoot continuously for at least an hour. 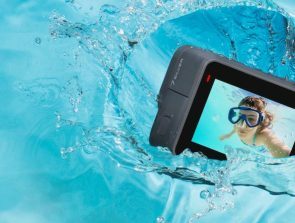 Long battery life doesn’t guarantee longer clips though – due to the limitations of various SD cards and file formats, most cameras limit 4K and even HD video to 30-minute clips or less. If you find that this is cramping your style, go for something like the LUMIX GH5 where only the card’s capacity is the limit. You’ll be viewing and processing all of your videos through the camera’s LCD screen. Making sure that the screen is both responsive and high-quality is an overlooked yet necessary step to good camera-made videos. Size and detail are the obvious first signs – if the screen is big and has a good resolution, you’ll be able to distinguish smaller details better. Filming in broad daylight a lot requires that the screen also be bright enough for the footage to be visible while reviewing on site.